If you’re going to build your own home you’ll need the right floor plan. All of our stock home floor plans can be customized to fit your needs. Building a green home has never been easier and more beneficial. How is green, or energy efficient, home different from a standard one? 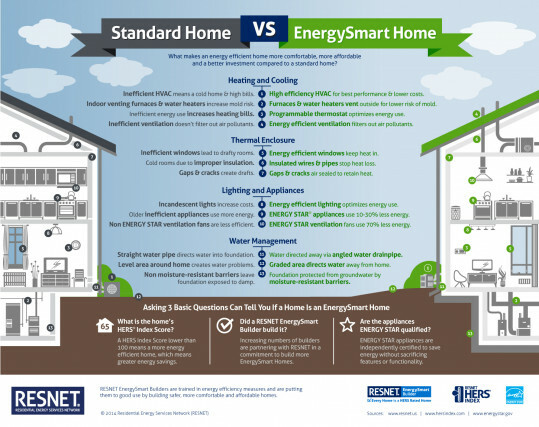 This helpful infographic from RESNET shows you the difference between an EnergySmart Home that is built to maximize energy efficiency and a standard home that isn’t. See for yourself how RESNET EnergySmart Builders are constructing homes that are healthier to live in, and more affordable to own compared to standard homes.